Cool and crazy jobs – and how they got there. Who is No Joe Schmo? With 100 million members in over 200 countries, LinkedIn is the world’s largest professional network. It offers great opportunities to network, seek recommendations, and connect with people in your industry — that is, if you use it correctly. Simple changes like adding relevant keywords to your profile can boost traffic, which means a higher likelihood of potential employers viewing your site. So instead of tweeting about unemployment and checking in at home on foursquare every day, use these 7 quick tips to optimize your job hunt. 1. Write a specific profile heading. Think of your LinkedIn title like a first impression — it’s your first opportunity to grab viewers. “Marketing grad from XYZ University, Seeking Opportunity in XYZ” is more engaging than simply “Recent graduate.” But beware of LinkedIn’s 10 most overused buzzwords, including innovative, motivated, team player, and problem solver. 2. Strengthen your profile with applications. If you have a blog, add the WordPress app, which will stream posts to your profile. Other apps: books you’re reading (Amazon Reading List), huddle workspaces, where you’re traveling (TripIt), and PDFs of your work. 3. Fill out 100% of your profile, including interests and background. 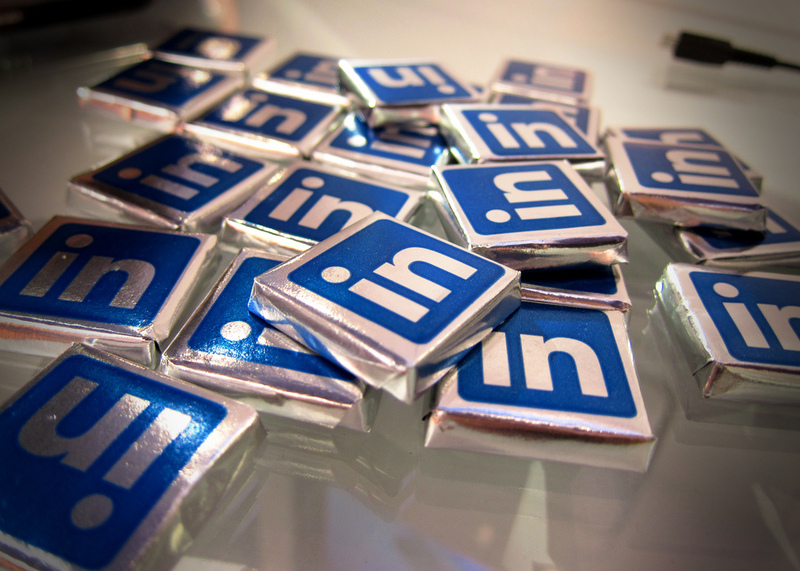 Once you do so, LinkedIn generates jobs you may be interested in based on companies’ postings. Sign up to get email alerts about these openings, which is quicker and easier than scouring LinkedIn. 4. Customize each message when requesting LinkedIn recommendations. Give a bit of context as to why you’re asking him/her for a recommendation (ex: you reported to them directly for two years). Include a bit of subtle flattery, such as “I really value your opinion,” and offer to write them a rec in return. 5. Research all details about people and companies, and use that information to your advantage. If you notice that your interviewer studied abroad in Japan and you minored in Japanese culture, make sure to slip that into your conversation. Also use this info to know what you shouldn’t ask. For example, if the company’s profile page discusses its mission, don’t waste an interview question on that. 6. Join groups related to your professional interests and affiliations. A great place to start is your college or university’s LinkedIn group, and then search for relevant industry groups, says Gen-Y expert Lindsey Pollak. Group membership grants access to message boards, job postings, and new connections. Need inspiration? Check the “Groups You May Like” tab. 7. Reid Hoffman, LinkedIn’s co-founder, recommends using the site to do “small goods” for others. In other words: congratulate contacts when they update their job info or “like” articles shared by your connections. It’s a simple, one-click way to network; your connections are likely to give you feedback in return. 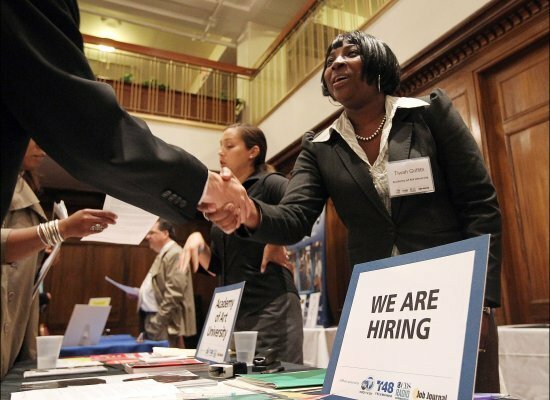 Has LinkedIn ever helped you find a job or landed you one? Comment below, and your story could be featured in the next No Joe Schmo advice blog! PLUS>> Check out other job-hunting tips from No Joe Schmo, such as rules for finding a job on Twitter and questions to ask at the end of every interview. I don’t know how the unemployed spent their time before social media. After graduating from Syracuse University, while in my wait, I’m not in college anymore? slump, I spent a good portion (okay, a very good portion) of my time on Twitter. For the most part, my news feed was rife with articles about the spike in recent grads moving back home and the crushing unemployment numbers. Sigh. Then, one morning, I noticed that a senior editor at The Huffington Post (whom I followed) had re-tweeted a tweet from HuffPost’s technology editor (whom I didn’t follow) about an opening in the department. Not only had I long dreamt of writing for The Huffington Post, but I was extremely passionate about technology. It was the ideal opportunity. Ignoring the little voice that told me it was ridiculous to expect a reply email, much less an interview, I sent along my resume and cover letter to the email address listed in the tweet. Hours later, I had set up an interview – and a few weeks later, I had nailed the position. But finding a job on Twitter isn’t just a matter of luck. Get the most out of your search by following these tips and suggestions. 1. 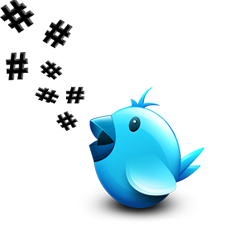 Establish yourself as an expert and choose a niche for your tweets. It’s more important to have a specialty on Twitter rather than a stream of consciousness. In other words, if you’re looking for a job in health and nutrition, tweet about industry news and trends and re-tweet authorities in the field. That said, be sure to maintain a voice and personality. 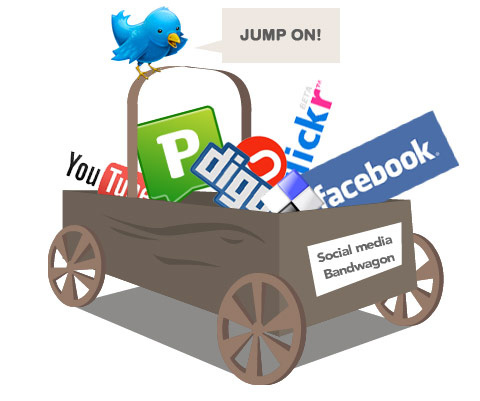 Tip: sites like Klout measure and help to build your online social influence. 2. Heard the phrase, It’s who you know, not what you know? Now, it’s about who you follow. Do a little digging on companies you’d like to work for; in addition to simply following their corporate Twitter account, find their top executives on Twitter — or editors and columnists. (Since I loved The Huffington Post and technology, I should have already been following the tech editor.) Some companies even have separate recruiting accounts, like @VerizonCareers and @WSJcareers, which solely post job news. 3. Participate in hashtag chats. These are organized conversations where users interested in a particular topic can join and contribute with a given hashtag, such as #careerchat. Hashtag chats make it easy for anyone watching along to identify the chat. They are excellent opportunities to network, increase your influence, and learn about a topic. Check out Mediabistro’s 15 hashtag chats to follow. 4. Tweet directly at people or companies you admire. But make each of those 140 characters count! Ask intelligent questions, or comment on company news; many companies use their Twitter accounts to boast corporate accomplishments and post links. This increases your likelihood of getting noticed by a job recruiter – and, more importantly, starting a conversation. Don’t tweet: “Hey @MarieClaire, I’d love to work for you guys!! Love your magazine!” Sweet, but vacuous. Instead, tweet: “Editors at @MarieClaire, loved your Aug issue, but was wondering XYZ about the article on bone marrow since I’m a donor.” Specific and a call to action. Ideally, you want to spark a discussion, not just move on after receiving a response. 5. Use Twitter’s list feature. If you’re like me and are following 1,000+ Twitter accounts, it’s easy to miss some important tweets throughout the day (potentially ones about job openings). Creating lists allows you to organize the people you’re following, and then easily scan through tweets later. In other words: exclude your annoying friends that tweet 50 times per hour about shopping and their cute dogs. Any tips for finding a job on Twitter that I missed? Want to share your Twitter success story? Comment below! You can also find me at @mhess4. Check out other tips & advice from No Joe Schmo, such as ways to create virtual business cards and maximize your resume. 1. Plant the right keywords. Certain buzzwords identify an industry or a profession, showing you know the lingo – and potentially separating your resume from the rest of the stack. Visit the websites of companies and associations related to your target industry, and check out the terminology used on their “about us” page. Also search for LinkedIn profiles of users who have similar jobs to the one you’re seeking, and take note of the keywords they’re using. Remember: Add these keywords and specialties to the “summary” section in your LinkedIn profile. Search engines add more weight to keywords in bold, italics, and in title/header tags. 2. Instead of listing your knowledge of Microsoft Office Suite, tout social expertise in areas such as SEO, HTML, CSS, WordPress, Tumblr, YouTube, Flickr, Twitter, Facebook, Flash, and Dreamweaver. At this point, it’s pretty much universally assumed that you know how to use Word, Excel, and PowerPoint. 3. Highlight specific numbers. If you manage your company’s Twitter account, how many times do you tweet per day? Do you use applications like HootSuite and TweetDeck? Did you increase the number of followers? 4. Use descriptive, action-packed verbs. Verbs on your resume should be concise and firm — and, most importantly, action-first. Change have demonstrated to I demonstrate. Also delete static terms like completed and made. 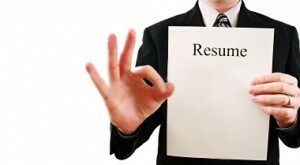 A resume is your opportunity to make a killer first impression on potential employers! To start, here are 10 resume power words: formulate, design, produce, manage, develop, present, master, execute, build, and collaborate. 5. Include impressive stats or analytics, such as total page views and absolute unique visitors to your website. Even if you simply wrote an article for another website or blog, note the number of visits or re-tweets your post received. 6. Social media links should dominate the visual hierarchy. If you’re active on Twitter (which you should be), list your Twitter handle at the top of your resume – near your address, email, and phone number – so it’s easily identifiable. Also include your personal website and/or blog, but ensure it has been recently updated. 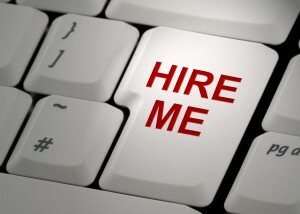 Including a blog URL on your resume can work against you if you haven’t posted in more than a month. What other ways do you maximize the skills on your resume? Comment below! Check out other tips & advice from No Joe Schmo, such as questions to ask at the end of interviews and ways to make your business card stand out. A few years ago, I began collecting business cards everywhere I went — restaurants, boutiques, hair salons, coffee shops — and stored them in a 3×5 index card file. Today, I dumped them all out to take an inventory. Of the 132 cards in my box, I was most attracted to about 10 of them. I noticed a few commonalities among these 10 cards, and each trait can be translated into a tip to make yours just as noticeable. 1. Include a visual element. Choose a concept that connects to what you do. An image can help jog someone’s memory of who you are, and will reinforce your brand if used on your website and resume, too. Images should use color and take up at least one-fourth of the total surface area. 2. Utilize both sides of the card. Many of the most attractive cards in my box used one side for name and visual element, and the other side for contact information. 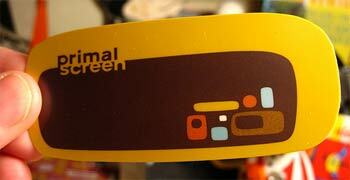 On some, one side was a solid color, and the opposite side was a white background with that same color for text. 3. Show, don’t tell. Add a creative twist that suggests your passion or field of expertise. 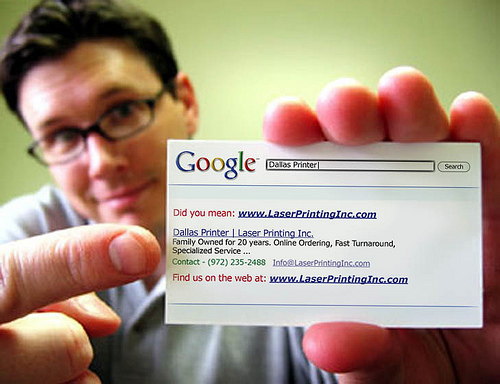 For example, the “Google Me” business card to the right implies an interest in programming and technology. 4. Try non-traditional color schemes. Most of the cards in my box had a white background, so the light-text-on-darker-background cards really stood out. Also try going vertical with your layout. 5. Don’t include extraneous information. Pick and choose from these basics: name, email address, phone number, Twitter handle, LinkedIn URL, and personal website/blog address. Want to really push the envelope? The following suggestions will definitely set you apart from the crowd, but make sure your alterations have purpose and adhere to your product or brand. Play with shape. Some cards in my box were squares, circles, and ovals. Add bite marks or holes. Non-cards. Several businesses have online catalogs for personalized chocolate cards. Other materials I’ve seen include leather and dog tags. 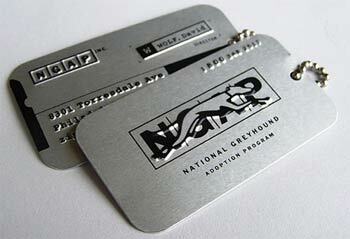 Remember to keep a few business cards with you at all times – not just during networking events. You never know when you’ll meet someone at a bar or on a train ride! 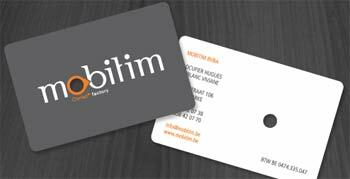 What do you think is the most important element on business cards? What does yours look like? Everyone has a story. Whether it’s your local barista or the pizza delivery guy, they all have history. At the core, this is what sparked my passion for journalism and the idea for No Joe Schmo. Hearing about someone’s success story offers inspiration; it gives us a sort of behind-the-scenes insight, which is like finding out a secret on the playground that none of the other kids know about it. It’s giddy and thrilling and enticing, but we’re not really sure why. We’d all love glamorous careers and enough money to buy four houses and a small country. But the alternative to movie stardom isn’t necessarily a 9-to-5 office cubicle job. Behind every job are 50 more opportunities. Now-dinosaurs like Myspace and LiveJournal served as building blocks for Mark Zuckerberg of Facebook and Biz Stone of Twitter. No Joe Schmo delves into the heart of local communities and finds out the essentials about their careers. Although the job market is brighter than it’s been in years, it’s important to keep your mind open to outside-the-box opportunities. We admit, some jobs we highlight — like dog food tasters — aren’t extraordinarily appealing. But those dog food tasters might offer some of the most valuable career advice. They’re not necessarily featured in the Forbes 500s, and you probably wouldn’t recognize them on TV. But their stories and career paths are just as worthwhile. Click to subscribe to No Joe Schmo and receive notifications of new posts via email. The 🗝: there's always another way in.